To gain access to any of the Government incentives available, the installation must abide by the Governments Microgeneration Certification Scheme. The Microgeneration Certification Scheme (MCS) is a guarantee to the customer that the installations carried under the scheme will be to a recognised standard of competence. As a result, for a renewable installation to be eligible for the Feed in Tariffs or Renewable Heat Incentive, it must be undertaken by an MCS Installer using equipment certified under the scheme. The MCS scheme covers everything in connection with the installation. For instance the presentation of the quotation, method of payment, anticipated output and final certification documents. As a result of this without the final MCS certificate you will not be able to register for any Government scheme. The Domestic Renewable Heat Incentive (RHI) is a government financial incentive to encourage a switch to renewable heating systems. So if you join and comply with the scheme rules, you’ll receive quarterly payments for seven years. It’s a way to help the UK reduce its carbon emissions. The Domestic RHI scheme is for heating systems in single homes. The renewable heating system would need to be in a property capable of getting a domestic Energy Performance Certificate (EPC). The EPC is used as proof that the levels of insulation within the property are up to standard. This primarily looks at loft and cavity wall insulation. If you cannot insulate your loft or your cavity walls, because you have solid walls as an example, then you will need to provide supporting evidence within your application. Providing you meet the eligibility criteria anyone can apply. That includes people that own the homes they live in, private and registered social landlords and self-builders. solar thermal panels – flat plate or evacuated tube only. Solar thermal panels eligible for the scheme can only provide hot water for your home, not space heating. Biomass and heat pump systems must provide space heating (heating rooms in a house) or space and water heating. Under the scheme rules, they have to heat the home using a ‘wet’ central heating system like radiators. However, hot water doesn’t include water used to heat a swimming pool or any use which is not domestic hot water heating. The government introduced the Feed-in-Tariff scheme (FITs) in 2008. Above all, its aim is to promote the use of small-scale renewable and low-carbon electricity generation technologies. If a householder, community or business has an eligible installation, FITs pays them a tariff for the electricity they generate. In addition to this, a tariff for the electricity they export back to the grid. Tariffs can change as often as every three months depending on the amount of installations deployed nationally. However once you have registered your system for the FITs, your generation and export tariffs base rate will be fixed and it will last for 20 years. Every year FIT’s prices are adjusted inflation. 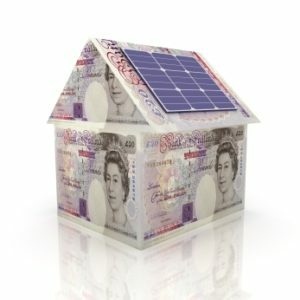 For more information on the FIT’s scheme please visit https://www.ofgem.gov.uk/environmental-programmes/feed-tariff-fit-scheme. At present, a rate of 5% VAT is currently available for installation of renewable systems including solar PV, solar thermal, heat pumps, and even wood burning stoves (not multi fuel stoves). They also require a built in boiler which will produce hot water for domestic use and space heating. However this only applies to the product and any ancillary items required to upgrade an existing installation. However a new heating system would be standard rated for VAT. Similarly as would a supply only. For further information and if you have any questions about the incentive schemes and your eligibility, please contact one of our team at energy BY DESIGN.